Today’s post is in answer to a reader question. Linda has asked “How can find cheap landline service?” Great question Linda. I have a few thoughts so you can finally get rid of landline phone service for good! 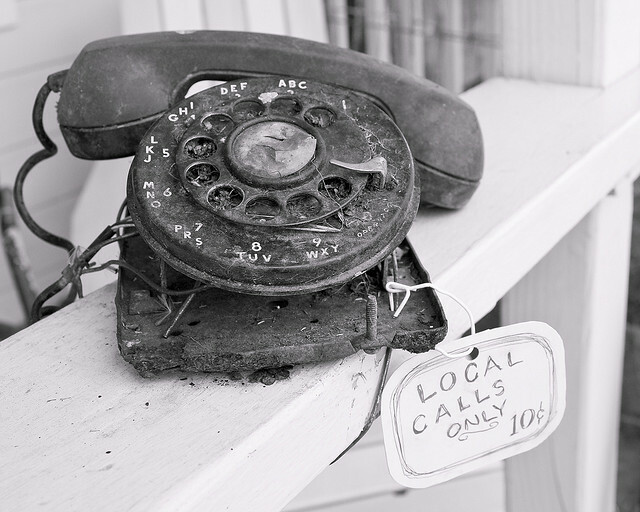 First, before we set about finding cheap landline service, find out if you still need it! Disconnecting your landline altogether is becoming extremely popular these days. That’s for good reason. Most folks just don’t need one – especially at the higher and higher rates being charged for them. It isn’t uncommon for the monopoly home phone companies to charge $35-40 or even more for that landline phone. If you can cut that cord and become cell phone only you’ll save a lot of money every month (assuming you already use a cell phone). There are many unlimited talk cell phone plans that come in far under that landline price. Republic Wireless (on Sprint’s backbone) is one of them. Ooma is the best option for getting rid of your landline service. Ooma will cost you right around $160. Sometimes you can find it on sale for even less. Check my favorite website for good deals that pop up on refurbished units. And that $160 is all you’ll ever spend besides the monthly taxes due on the service (and a $40 porting fee if you need it). That is incredibly cheap! By the way, you can check out how much your taxes will be here. I checked mine and they come out to a whopping $3.72 a month. By the way, this service does use your high speed internet connection. Straight Talk home phone is another great option for cheap landline service. You’ll get unlimited nationwide calling for $15 a month. The device will cost you $80 or so and you’ll cut your monthly bill in half. You won’t need an internet or landline to use it either. It runs on Verizon’s nationwide cellular service which means that the service is pretty reliable. You can also keep the phone and phone numbers that you currently use! The cheapest possible home phone service replacement is Net Talk Duo. I will say that I’ve never used it and that the reviews for it are all across the board – many not so happy with the service they’ve gotten. Magic Jack Plus is another cheapo option and with slightly better reviews. Does anyone else out there still have a landline? 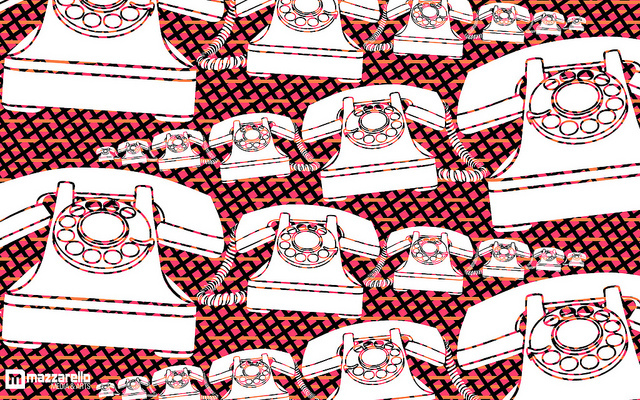 Why haven’t you made the move towards getting rid of your landline yet? I think this is a great question, and I agree with your first comment. Why even pay for a cheap land line if you may not need one at all? I find more of my clients shifting toward the idea of no land line whatsoever. It is a scary thought at first for some reason because the land line feels like a “safety net” of sorts, but when they really think about it, it’s an added cost with no added value. Most folks just don’t need them anymore Shannon. I’m glad you are steering your clients away! Is the only reason to have one for a security system? Can’t think of another reason. Our generation won’t remember what landlines are pretty soon Scott. It’s definitely a rarity. They are useful for a home security system. But my favorite home security system, SimpliSafe, works on cellular monitoring for $15 a month. The cheapest out there using new technology. Good stuff. My wife has a pacemaker and transmits data as required to the company, which can only be sent using a landline. Need cheap landline service as the original question asked, not why we do not need one. I don’t have a landline but I do have a Skype subscription where I can call any number in the US or Canada for $2.99 per month. It is a pretty sweet deal, the only thing is that I don’t have a number for people to call me, I can only call them. I hadn’t had a landline for 7+ years, relying only on my cell phone. Then we were offered a package deal for internet+cable+landline for less than we were paying just for the internet, so now we have a landline too. Honestly, the only people who call us are wrong numbers and telemarketers… I couldn’t even tell you what our home phone number is. That’s about the only way I would consider a landline – if it saved me money! It’s kind of funny that it is actually more of a hassle than a plus these days. “It’s kind of funny that it is actually more of a hassle than a plus these days.” Absolutely true! Yep, we went the “get rid of the landline” route when we moved into our home 8 years ago. Considering we both had cell phones (and I later got a work BB) there just didn’t seem to be a need for one…and it turns out there hasn’t been a need. Not once in the last 8 years has an occasion arisen that required us to have a landline. If you are like me and can’t bear to part with your landline but don’t want to waste money paying for one may I suggest Ooma. It is a VOIP service but you buy and own the equipment. The initial outlay was about $250 but following that your monthly bill is only for taxes on the service – mine is less than $4.00/month. There are feature upgrades for a modest additional charge and add on accessories as well. We used it for three years without one single problem. Ooma is a great suggestion Anna. I like Ooma a LOT as a company. I have been considering going without our landline but I keep hearing that in an emergency, help can not find your address thru a cell. Emergency personnel can only locate your closest cell tower. True or false. If true, how due you rectify this for your cell only home? As far as I know because of rules created in the mid 2000’s your phone should be able to reflect a fairly accurate position on a 911 call. Do you use a smartphone? If so they should be able to determine your location, not just the closest cell tower. I would love to get rid of my landline. Even though I’m on the do not call list, the phone rings all day long from unsolicited calls. But the cell service is not good enough in the house for us to be able to rely on cell alone. :(. Very bummed about that. What about trying Straight Talk home phone Wendy? That might work for you and save you some big money. Anyone have ideas for someone who wants to have multiple phone in their house (Basement, bedroom, office, kitchen) I hate the idea of having to pack my cell phone around the house and so far it seems to be the only option if I want to CALL OUT. We bought a set of phones that acts as a bluetooth for our cell phones, so we can answer it in these areas but we still have to track down our cell phones to make calls. This is one of the advantages of having a landline!!!! It’s 2014. We use magicjack, but can’t scan and fax numerous pages through it. What company offers a land line service that will fulfill that need at a decent rate? AT&T wants $45 plus just to do this! If you are able to do this, scan and fax multiple pages through a known service, please advise. Thank you. I have a landline because I live in rural PA and, although I have a cell phone, the mountains and trees make reception all but nil, and there is only dialup internet (so no VOIP or whatever other internet-powered phone services people keep suggesting to me). Yes, there ARE places like this in 2014. I need the landline to call work, family, and emergency services (snow removal, etc.). I have simply no other option. I hate paying $35 a month for a phone I use 20 times a year for calls that last less than a minute. What about all these spam telemarketing calls that go to my landline? If I go to cell only will all those calls now start going to my cell? That would be very annoying. We have searched for a land line only for lifeline can you help ? I’m sitting here today with zero phone service even though I’m typing this on my smart phone. The cell tower is having some problem in my small town in central Florida. I’ll be signing up for a REAL landline and not the phones the cable company “bundles” and claims is a “landline”. Half the customer service reps don’t even know that they are not really landlines. If the phone won’t work when the power goes out taking the Internet with it, then it’s not a real landline.